Highway 11 starts (or ends) in the Big Smoke aka Hogtown aka Toronto. I never had this problem while blogging about the any of the communities from Rainy River through to maybe Richmond Hill. For those communities, it was simple. 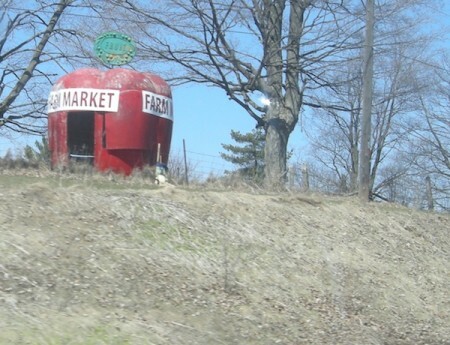 But as this blog started making its way into Toronto, a new issue arose –how do you title a blog post about a relatively amorphous and randomly selected portion of a big city? What’s in a name? Some neighbourhoods get named after their first settler. Or are titled by their original developer. 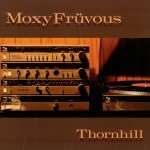 Some names get adopted organically over time. Or are imposed, directly or accidentally, by the powers that be. And I think that’s the case here. 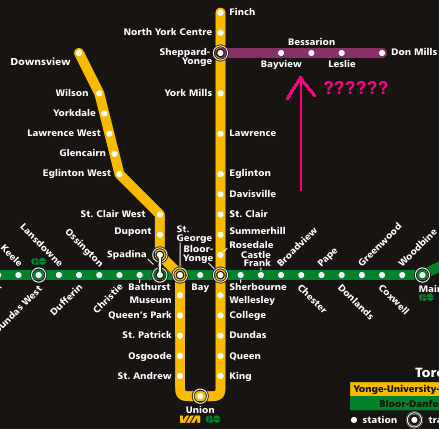 The local TTC subway station is named York Mills, but I’m not sure that everyone who lives in this area would actually say that they live in York Mills. (Certainly not those that live close to Lawrence Avenue.) 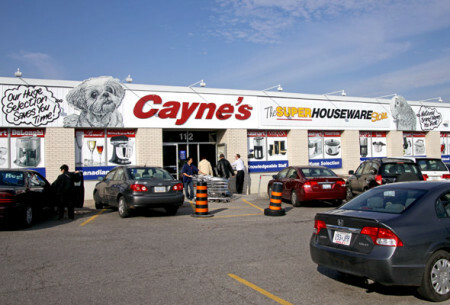 Yonge Street between Highway 401 and Lawrence Avenue is a confluence of different neighbourhoods. But when you’re blogging the world’s longest street, you can’t have a separate entry on every intersection. Driving north up Yonge Street, once you hit Lawrence Avenue building heights drop and empty spaces widen. Lawrence is the signal that you’ve made it into some of Toronto’s first suburbs. 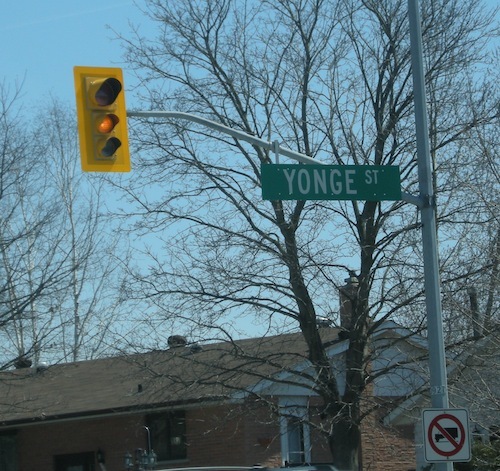 The story of this part of Yonge Street is one of west vs. east. The area west of Yonge was developed in the early 1900s with the intent of attracting middle-class families whose breadwinners were professionals that used the Yonge streetcar (and later subway) to go to work downtown. Take York Mills west (York Mills becomes Wilson Ave once you cross its bleak intersection with Yonge Street) and things will become less fancy as you approach Avenue Road and very working class once you hit Bathurst. The east side of Yonge Street, however, had plans for big things. Early developers set out to attract Toronto’s rich and wealthy, and boy did they ever succeed. This is a house in York Mills on Old Toronto Road. It’s so expensive that they don’t even list the price in the listing! The area is chock full of private schools like Havergal, Crescent, and Toronto French, and is home to both the Rosedale and the ultra-private Granite Country Clubs. 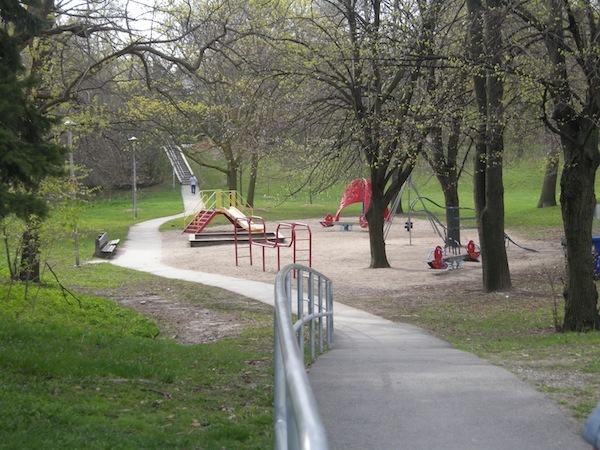 There’s a specialty York University Campus and the Canadian Film Centre nearby. 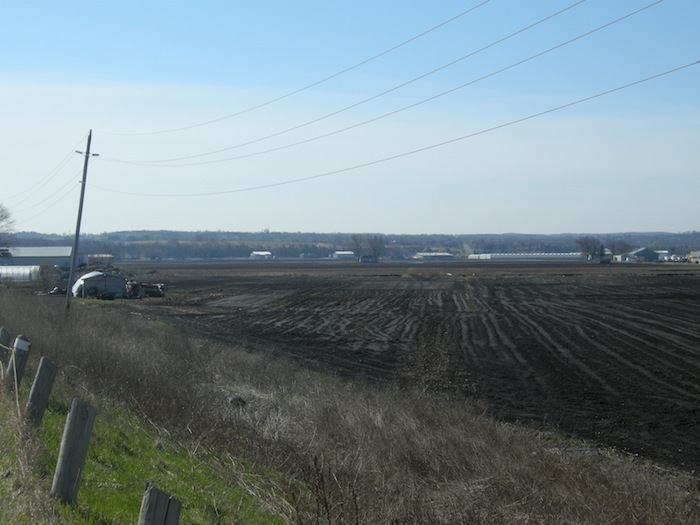 Despite Hearst’s claims, this stretch of Highway 11 likely has the most millionaires per capita. 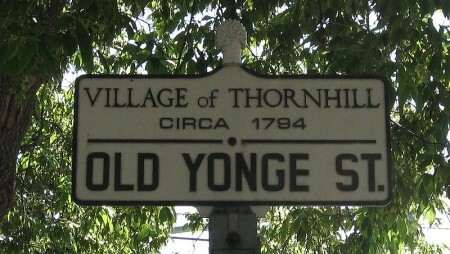 There is a stretch of road east of Yonge Street called Millionaire’s Row and the average family income in York Mills hovers around $657 000. 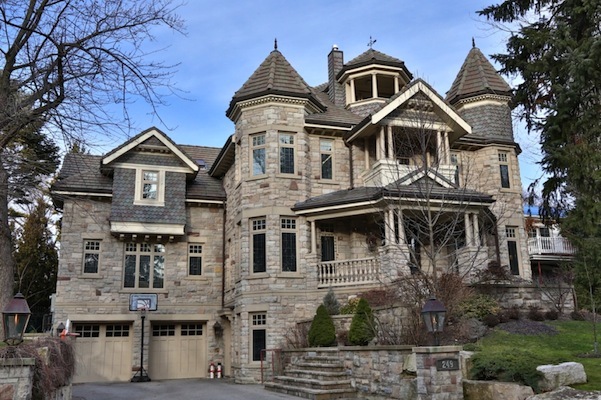 The not-exorbitantly-wealthy-but-still-pretty-wealthy parts of York Mills have boomed – house prices have risen nearly 100 percent since 2001. 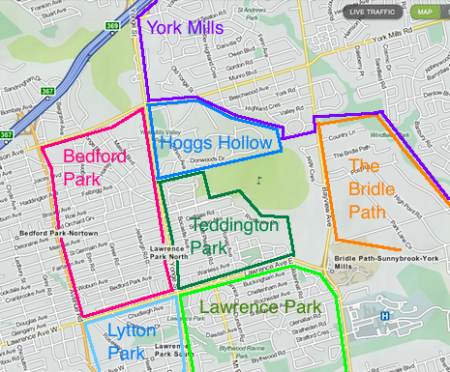 Local neighbourhoods have become synonymous with money, like Lawrence Park, the Bridle Path and Hoggs Hollow. 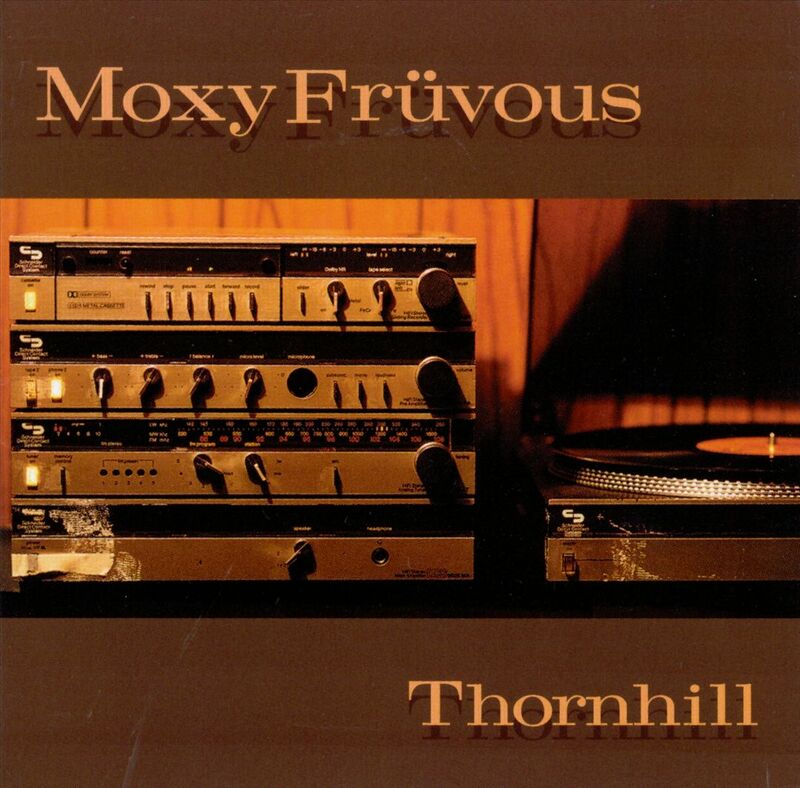 And no, Hoggs Hollow is not a derisive political or populist commentary on the rich and wealthy gathering in one place, as has happened in the neighbourhoods east of Yonge Street, just south of the 401. It’s named after Joseph Hogg who first settled the area in 1824 and set up a distillery. 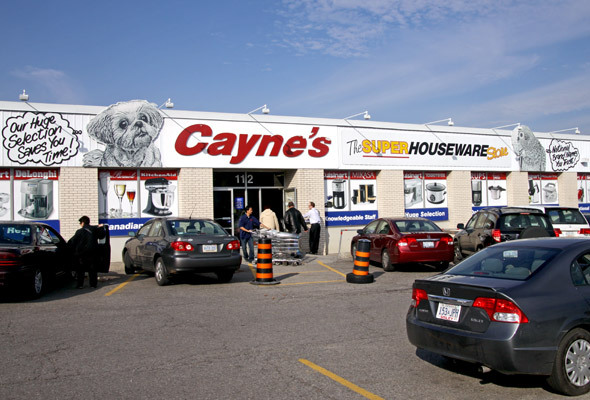 The part of Yonge Street near Lawrence started off much more middle class than it is today. With middling rents and lots of space, some of the art deco apartment buildings are great places to rent near Lawrence. A neighbourhood dominated by detached houses and really nice semis, Yonge Street north of Lawrence Avenue is one of those neighbourhoods where you wouldn’t expect homes to nearly reach the million dollar mark. Unless you live in Toronto. If you do, you immediately understand the appeal of a place like Yonge and Lawrence, even if you’re not keen on living amongst the almost-rich and not-so-famous. Walkable access to the Yonge subway has made getting downtown quick and easy. The housing stock is well kept and just a bit more spaced-out than communities further downtown. 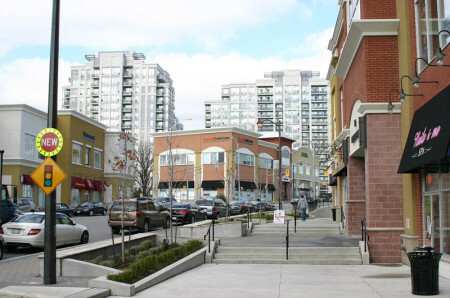 It’s not dominated by rental apartments like Yonge and St. Clair. Condos have squeezed in, but they are not as ubiquitous or as imposing as they are at Yonge and Eglinton. 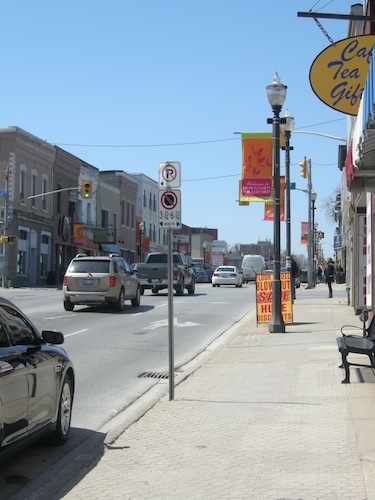 There’s a community feel to the main drag along Yonge Street north of Lawrence, in the sense that although some of the stores up here are fancy, by and large they’re still pretty useful. And it’s that last point that is such a big deal. Because if you live in Toronto, you’ll know that the main drags of residential neighbourhoods fall into one of four categories. Grotty, storefronts either empty or full of things like cash for gold places and flea markets. Gentrified, but full of useful stores like above. Gentrified, and full of useless crap like art galleries and copper-plated kitchenware stores and gluten-free cupcakeries and $45-a-chicken butchers. I know this, because right now I live in an area that’s a solid Stage 2. And you wouldn’t believe how quick things can change in a place like Toronto. I know this, because I used to rent in an area that went from Stage 3 to Stage 4 in less than two years. Some of the city’s most desirable residential neighbourhoods are served by a main streets that are downright beautiful but, unless you find yourself needing an eco-friendly feminist pharmacy once a week, are absolutely useless and require the worst of both worlds – car-based living in the big city. So the people that live north of Lawrence have it very very good. Particularly when compared to those who live just seven or eight kilometres east of west on Lawrence – out in Weston or in Scarborough – where neighbourhoods around Lawrence are some of Toronto’s poorest. Toronto. Ontario. Both are always a land of contrasts. The sleek glass office complex at York Mills and Yonge Street is the most noticeable part of this windswept, lonely intersection. Even inside the building feels well-kept but forlorn – the GO Bus terminal, the York Mills subway station and the mini mall on the main floor nearly are always nearly vacant unless it is rushhour or lunch time. Five Italian workers were killed in a tunnel fire in 1960 at York Mills. They are commemorated in this tapestry on display in the York Mills subway station. Willowdale. 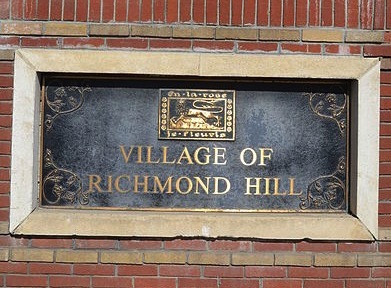 Riverdale. Rosedale. Bracondale. Parkdale. 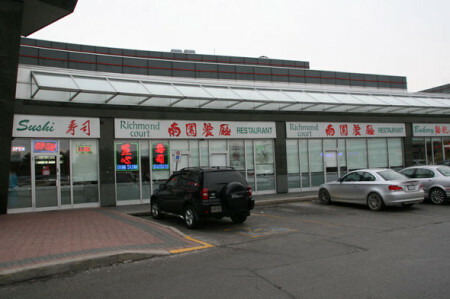 Rexdale. Armadale. Bendale. Keelesdale. Bloordale. Erindale. I was hanging out at the Pacific Hotel in Wiarton one rangy Halloween night, when one of the locals we were talking to mentioned that he had grown up in Willowdale. “Oh, that’s the part of Toronto that had a soap-opera named after it?” I said. No, that was Riverdale. “Or is that in Mississauga?” Still no. “Is that that Rexdale?” another non-Torontonian amongst us asked. No. “Is it kinda grotty?” someone else chipped in? No, that was Parkdale. “Is it really fancy?” I asked. No, that was Rosedale. We gave up. There are so many ‘ales’ in the Toronto area that I get mixed up. To be clear, Willowdale is the one at the north-central end of Toronto. For the purposes of this website, I’m going to define Willowdale as everything north of the 401 up to the border with York Region at Steeles. Lansing was the first community developed in this area of Yonge Street whilst Willowdale, if I am correct, was actually located a bit to the east. The first person to settle Willowdale was Joseph Cummer, the son of a Loyalist Germans from Pennsylvania. 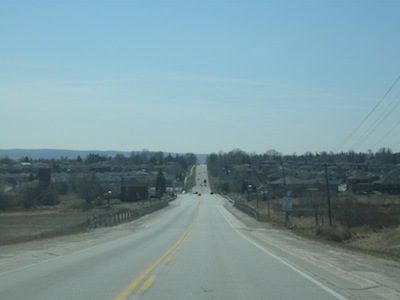 Another returnee from America, David Gibson, helped develop Willow Dale village after he was pardoned by the Upper Canada government for his role in the 1837 Rebellion. Gibson House still stands on Yonge Street to this day. It is a museum now. Today, Willowdale is drastically different. Yonge and Sheppard has boomed upwards. 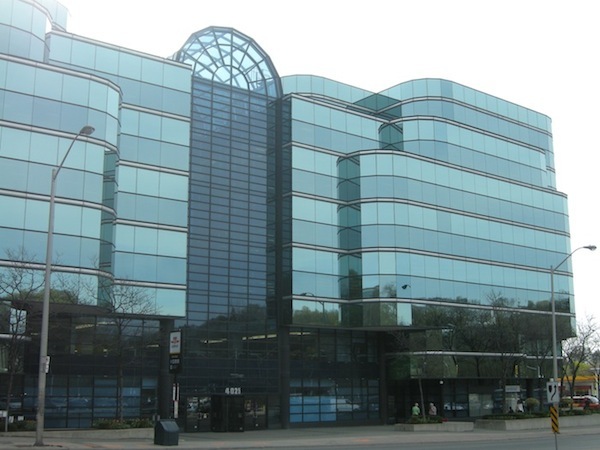 First came the institutional development – The Toronto District School Board and the City of North York built head offices there. 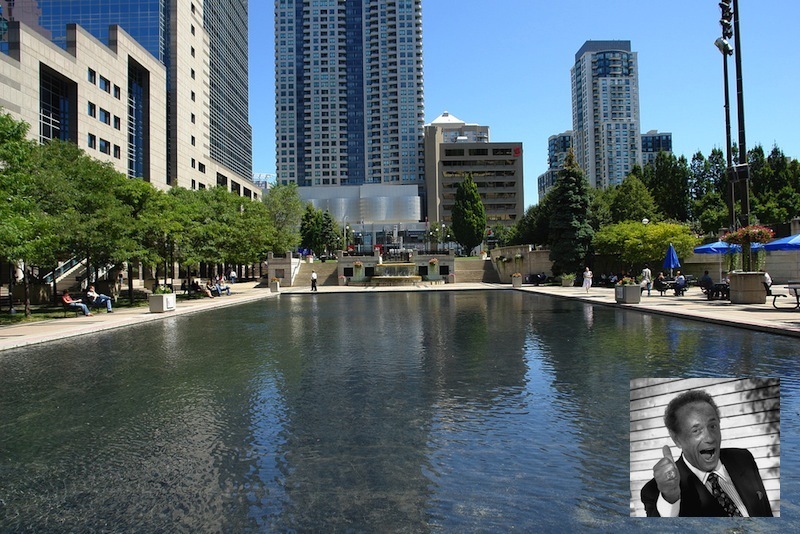 Today, Mel Lastman Square (named by the former mayor after the former mayor) is home to a theatre, offices and a pile of public events. 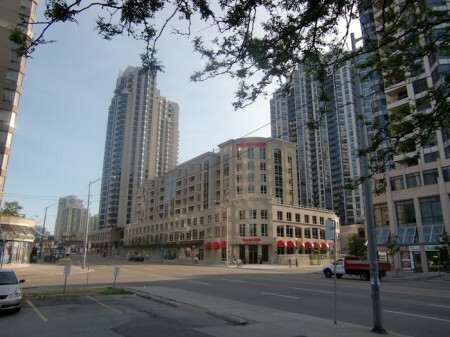 The plazas and strip malls of Yonge street have been replaced by condos north of the 401. The side-streets have not escaped unscathed; the old ranches, bungalows and sidesplits are being bought up for their large lots and replaced with massive infill homes covered in stucco and fake stone. Just east of Yonge on Leslie big box stores have gone in, like IKEA, Home Depot, and a massive Canadian Tire. Part of this change is due to changes in local governance. 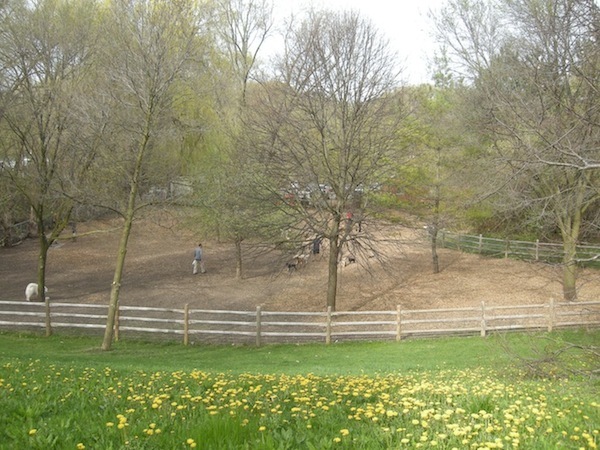 Like most Toronto neighbourhoods, Willowdale has been shunted around a bit between different municipal administrations. In 1922 it was incorporated into the Borough of North York, in 1953 North York was integrated into the Metro Toronto, in the 1970s North York became a city, and in 1998 North York ceased to exist thanks to the forced municipal amalgamation program pioneered by Premier Mike Harris. This has opened some communities to greater influence from central planning, and reduced the influence of to plan according to the wishes/needs of local residents. But the biggest part of it is the subway. The TTC expanded to Sheppard and Finch in 1974. North York Centre was added in 1987. More stations were planned, but were never built. And then came the subway to suburbia. The line to nowhere. The stubway. Aka – the Sheppard Subway. 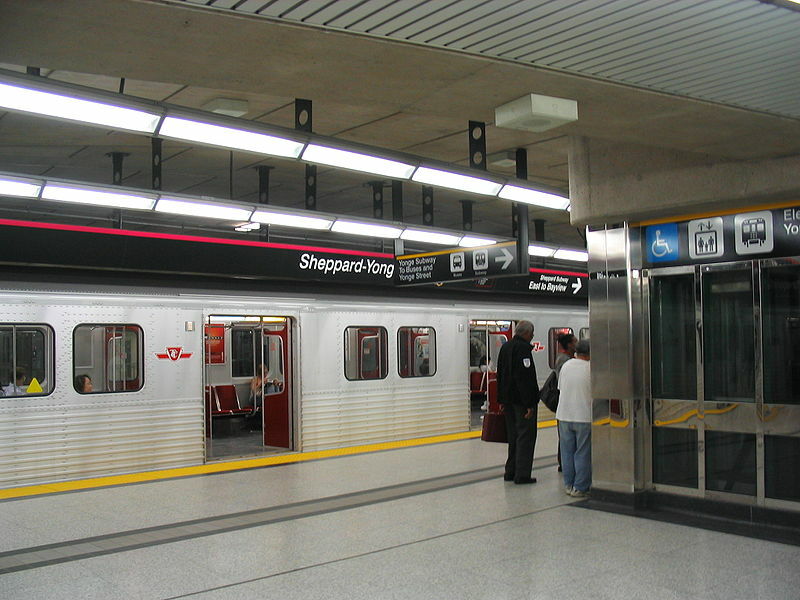 The Sheppard Subway line was one of four lines proposed by the government in 1995. When it fell, the Conservatives took over and cancelled all but Sheppard – which was strange, since it was the least useful of all the lines, but not-so-strange, given that the local area was Conservative-voting and Conservative-inclined North York mayor Mel Lastman was elected the first mayor of the megacity. The Sheppard Line was so unpopular that they even filled the existing tunnelling underway for the Eglinton line, because the Conservatives knew that the City would vote to continue building Eglinton if it wasn’t filled with rubble. Today, Sheppard is the least used subway line in the city, with a lower ridership than some bus or streetcar routes, so much so that in 2008 there was a proposal made by the city to shut it down entirely. One can only imagine how different the city would have been if the Eglinton line had proceed instead of Sheppard. Hi-rise development has followed the subway all throughout Toronto, and the Sheppard line is no exception. 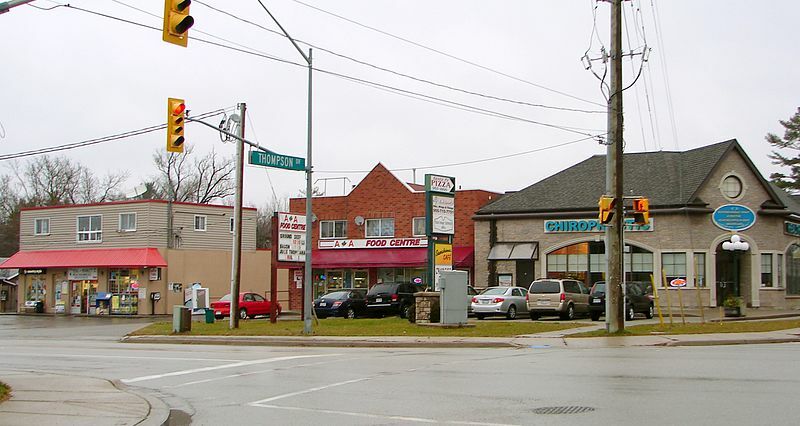 Sure, house values went up as developers sought land for condos and residents sought subway-accessible lots to build megahouses, but driving a subway through a suburban neighbourhood has essentially fractured the nature of the area. The Leona Drive Project documents this. 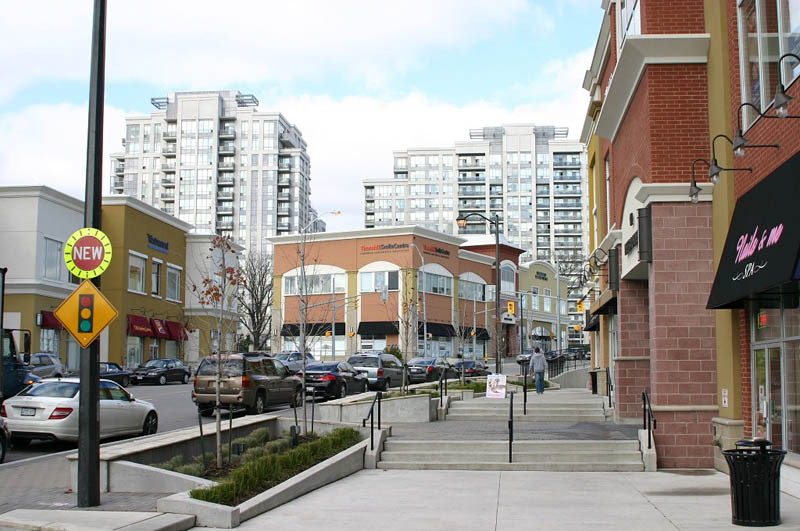 As one website puts it, Willowdale is uptown living at downtown prices. 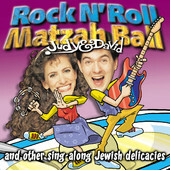 Honestly, what were they thinking? That they were playing Sim City? …oh, this may not go over too well. Yes, despite having webpages for places that aren’t settlements (The Temiskaming Ottawa Highland Trail), or that no longer exist (Lowther), or that I thought no longer existed (Kitigan), I’m going to profile the communities of Newmarket and Aurora, total population around 130 000, all in one go. I have nothing against either town. One of my favourite coworkers lives in Newmarket. Or is it Aurora? But that’s just it. 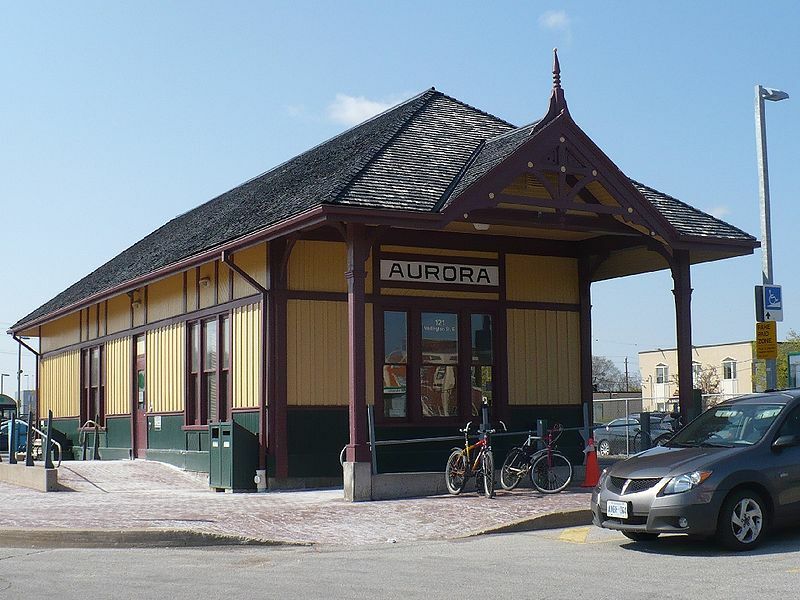 It is not that towns like Newmarket and Aurora aren’t important. Quite the opposite, Aurora is home to the head offices of State Farm Insurance and Frank Stronach’s autoparts giant Magna. Newmarket seems to have produced so many pro athletes that it’s giving Thunder Bay aka The Staal Family a run for its money. It’s not that the towns aren’t nice. 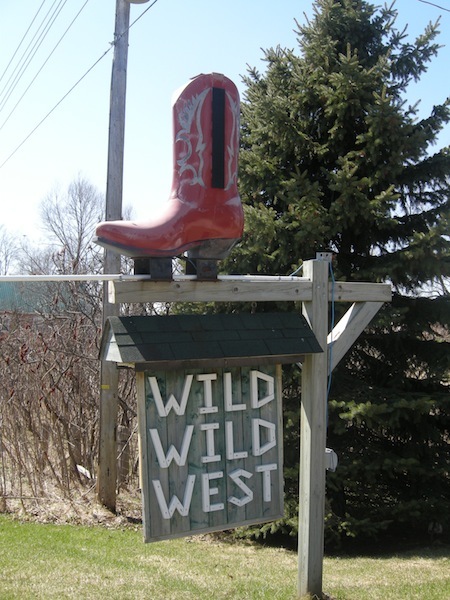 More people live in these two communities than live along the 700 kilometres of Highway 11 that arches through Ontario from Matheson to Nipigon. They both seem like great places to live. 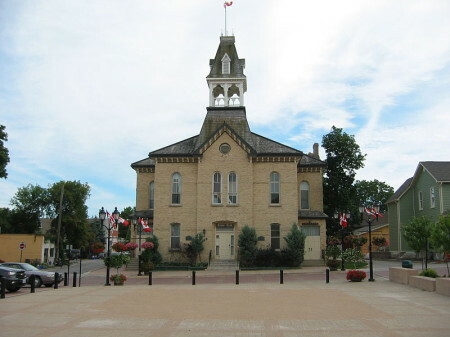 Newmarket was ranked the 10th best place to live in all of Canada in 2013. 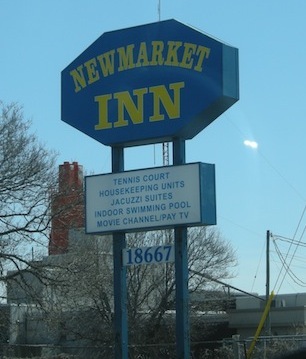 But in the context of profiling the quirks of Yonge Street / Highway 11, it’s more difficult to uncover the unique and the memorable when you’re dealing with a place the size and type of Newmarket or Aurora. I’ll come clean – though I’ve driven Yonge Street in both of these communities, I’ve never completed any drive of Yonge Street between Barrie and the Toronto city limits all in one go. Each time that I give it a try I end up giving up and heading to one of the 400-series highways on either side of both towns. 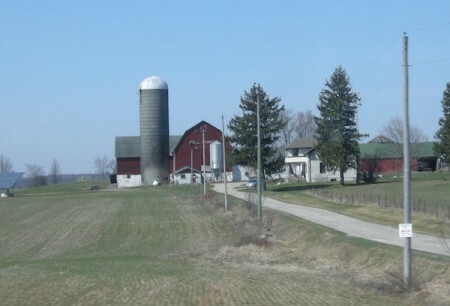 It’s not their fault that these towns hug the northernmost edge of Toronto’s sprawl, however, suburb fatigue starts to hit once you’ve left Thornhill. This part of Yonge Street is messy urban driving. It’s chock-full of stoplights. You get stuck behind every third car turning right into a plaza or power centre. It’s hard to stop to take photos, or to know what to take photos of. It’s impossible to make u-turns. In sum, it’s not conducive to exploration and discovery. Ok, that sounds cheesy, but I think you know what I mean. 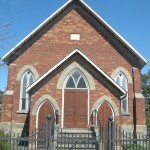 Newmarket was first settled by Quakers from Vermont and Pennsylvania. 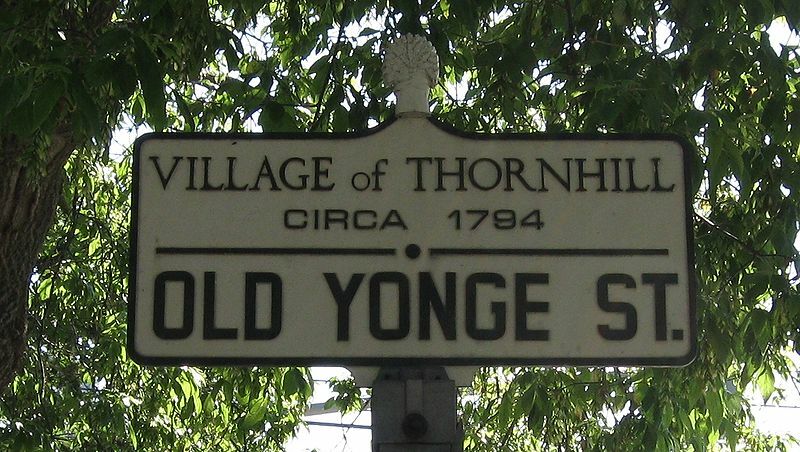 Surprisingly, the local community was a hotbed of political discontent, eventually serving as the starting point for the ill-fated 1837 Rebellion march down Yonge Street. Aurora’s beginning was as Machell’s Corners, an intersection on the newly extended Yonge Street, that eventually grew into a small industrial town. The railway brought prosperity to both rural towns, but even back then their focus was largely southward. Both were served by the Toronto and York Radial Railway up to the 1930s, which provided service with something like a big slow streetcar. In the 1950s highways and the 1970s GO Trains cemented their status as bedroom communities of Toronto. Both are affluent, with household incomes approximately 20 percent higher than the provincial average. Both have arts, culture, entertainment, and sports facilities and all the services you could need, including the Upper Canada Mall in Newmarket. Both towns have kept some of the built heritage alive. 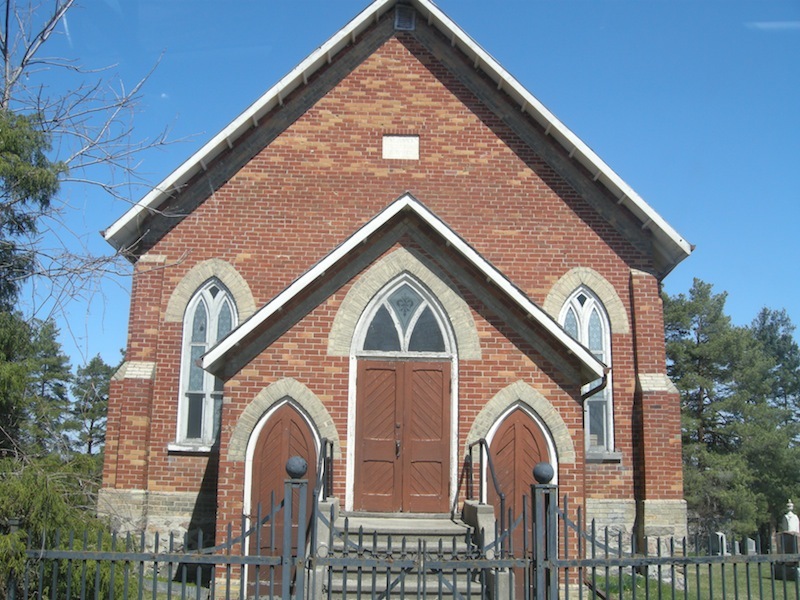 Newmarket’s can be found on Main Street South, while Aurora has the Northeast Old Aurora Heritage District and the historic Hillary House at 15372 Yonge Street. Both have produced their fair share of Canadian hockey players and other celebrities. Canadian soccer player Jim Brennan, Indycar driver Scott Goodyear, comedian John Candy and bands Glass Tiger and Tokyo Police Club are all from Newmarket. 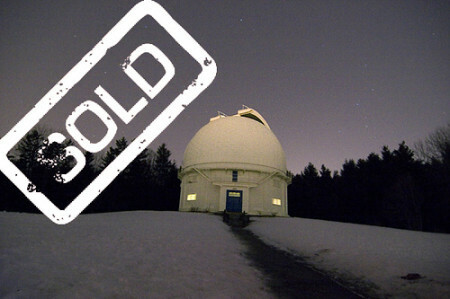 In addition to the Stronachs, former Prime Minister Lester B. Pearson, Olympic skiier Brian Stemmle, the guy who oversaw the construction of the Empire State Building, and China’s most famous western television personality are all from Aurora. I hope I haven’t done either community an injustice. But with towns like these, anything you need is right at hand, anything you wanted to see you’ve probably already seen, and anything you wanted to know you could find easily online or in Wikipedia. I’d be happy to live in either one of these communities – I grew up in one just like it – and I think that’s the best thing anyone can say about any place. Crossed by the railway, a river, and bordered by a marsh, movers and shakers always had big plans for Holland Landing. 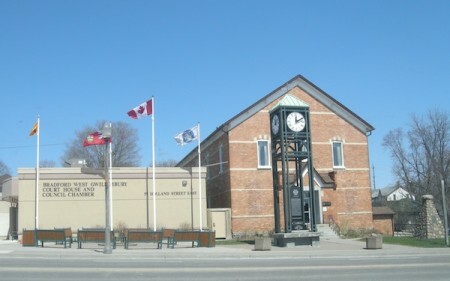 In the 1790s Holland Landing was to be a shipping port that would facilitate the transportation of goods across Lake Simcoe, linking the northernmost part of Yonge Street with the Penetanguishene Road. But heavy boat traffic never materialized. Holland Landing was then to be used as critical point to transport shipbuilding supplies during the War of 1812. 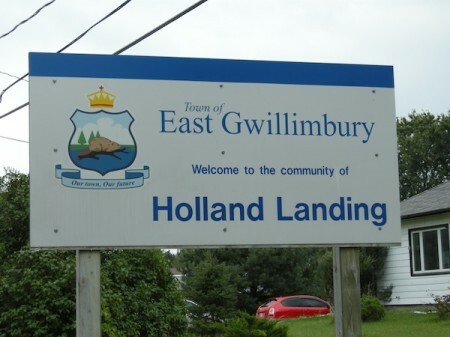 But the war ended before Holland Landing could play a major role. Then, in the early 1800s Quakers from Pennsylvania settled the area. But they ended up building their big temple in nearby Sharon. The late 1880s saw plans for a re-settlement of Manitobans fleeing from conflict with the Métis. But Sir John A. MacDonald ended put troops on the new railway and snuffed that out to his political benefit. 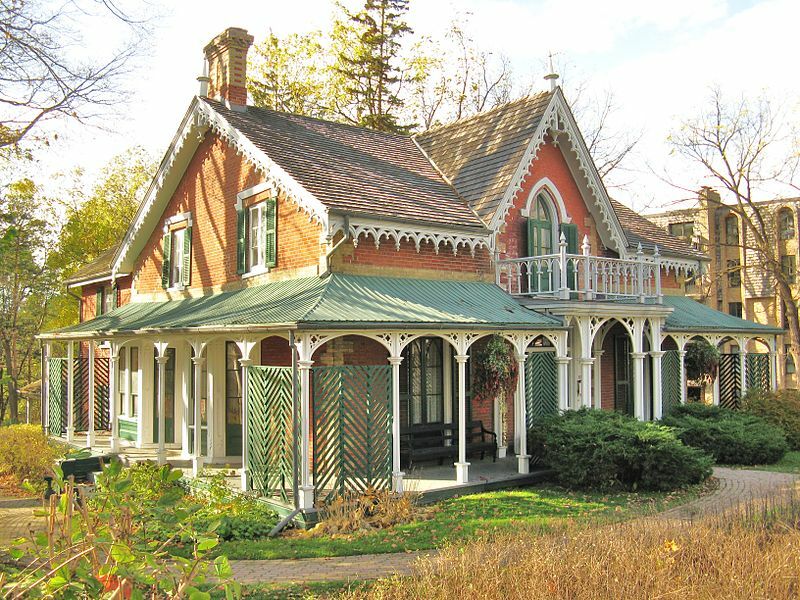 In the early 1900s Holland Landing was supposed to be the site of a canal that would link Lake Simcoe with the Trent-Severn canal system. But with the canal almost complete, it was cancelle by Sir Robert Borden. The 1920s saw the draining of the Holland Marshes for agricultural use. But most of those drained areas are actually west of town, closer to Bradford. So there is an East Gwillimbury to Bradford‘s West! Today, Holland Landing an agricultural town and bedroom community that is home to about 40 percent of the Town of East Gwillimbury’s residents. There are a few restaurants in town, most notably a Subway, a Country Style, and a few independents; in this case, the Sunshine Café, Dragon Kind Chinese, and Santa Fé Pizza. 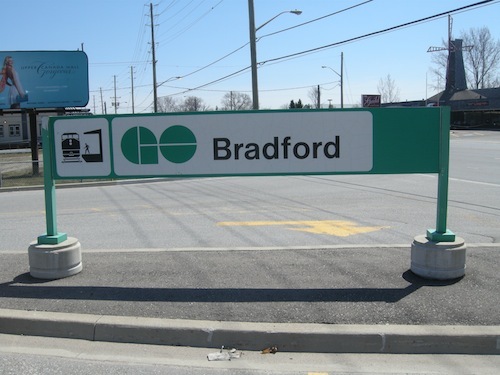 But being so close to Bradford, and now bypassed by the modern Highway 11 (Holland Landing is at the terminus of Yonge Street, a bit north and east of the highway) most of the traffic ends up in Bradford. 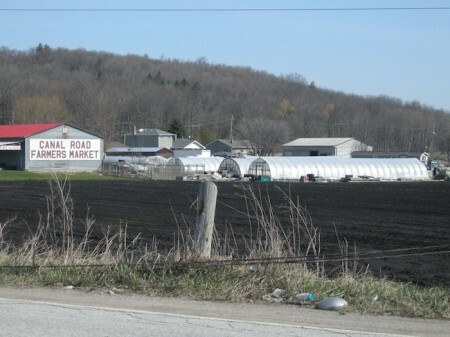 Although it’s not immediately apparent when you’re driving on Highway 11, you can’t miss the wet, black fields and the plasticky, arching growtunnels of the Holland Marsh when you’re on the 400. Stretching from Highway 400 to the outskirts of Holland Landing in the east and Innisfil in the north – with Bradford right in the middle – the Holland Marsh is one of central Ontario’s most productive agricultural areas. 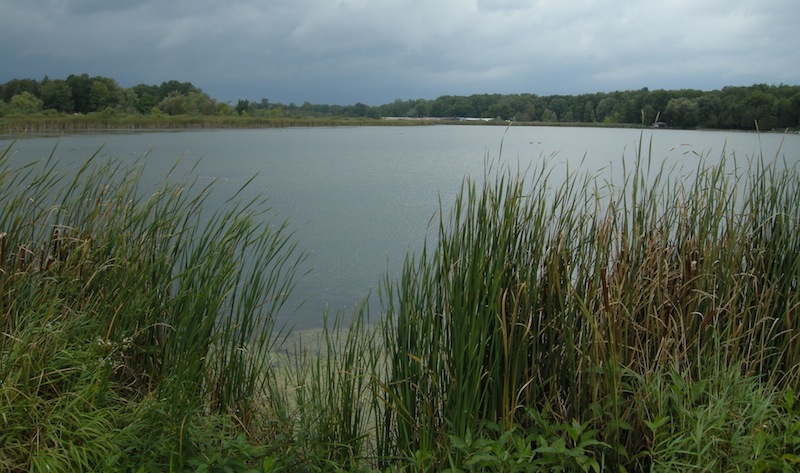 The area was first settled in the 1880s when local mattress companies set up shop in order to harvest marsh reeds for stuffing and bedding. 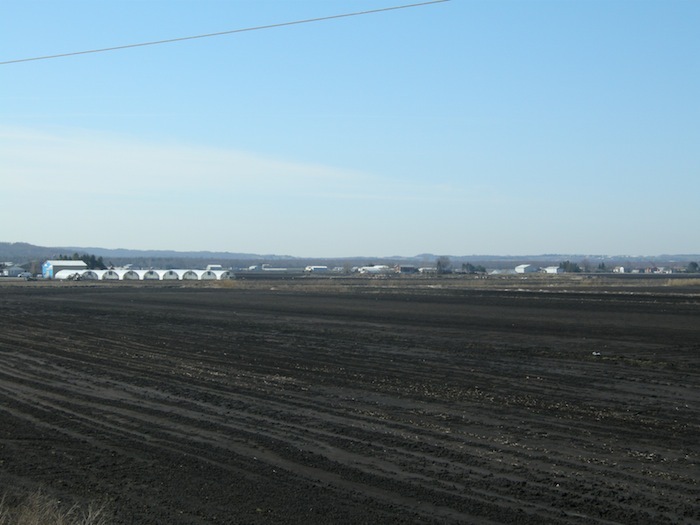 By the mid 1920s the marshes had largely been drained, leading to the founding of a small Dutch settlement of 15 families in 1935. 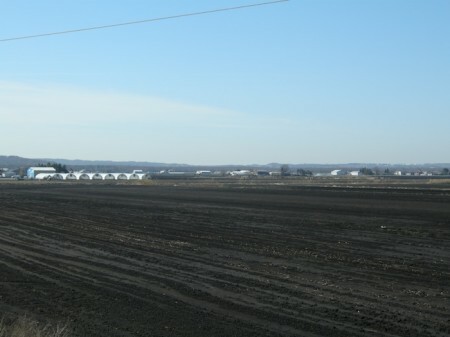 Today the Holland Marsh is a mix of corporate farms, veg processors and family farmers that largely grow market garden crops for local consumption, particularly onions, carrots, and lettuces. During the summer months, there is a farmer’s market open on Canal Road, just off the 400 as you get ready to drive up the big hill. 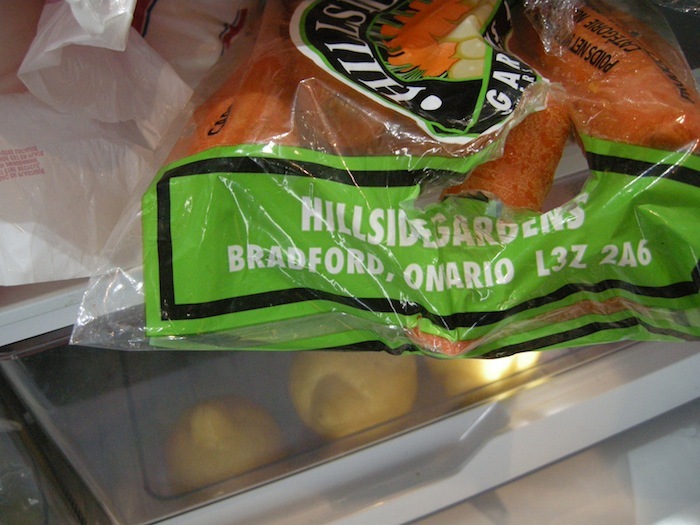 Holland Marsh veggies, in my fridge! I’m from the burbs, from a family of commuters. 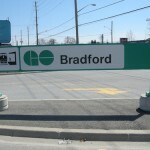 But Bradford to Toronto on the GO Train? That’s one heck of a commute, without even thinking about the mention inevitable track delays or having to transfer to the TTC. Needless to say, if it has a GO Train station then it’s a real town. Bradford is not a village or a hamlet or a siding or a corners. Bradford is one of those southern Ontario towns that is at a cross-roads. It’s still small, rural, and agricultural enough to be surrounded by farms, have a big feed elevator siding the railway, and host a goofy festival like the Marsh Mash every May. But it is not so rural that it is immune to the pressures of urbanization that have slowly seeped into its cracks. Bradford is close enough to the big city to be constantly affronted by its demands, but may be just too far away to reap its full share of the benefits. These are the sort of towns that are pinched between two realities, and that are too often never given the choice between one or the other. 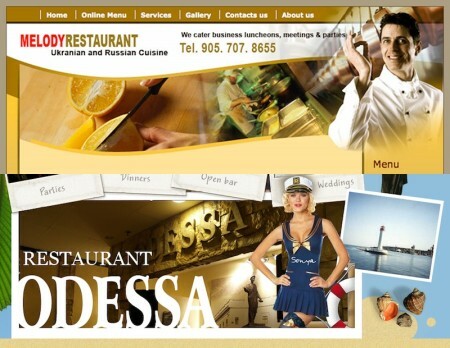 But Bradford is unique in the sense that it is not so small that it can only support a couple of third-tier fast food joints, but also not so big that the economies of scale are sufficient to support those generic, sit-down dining franchises like Kelsey’s and Boston Pizza that seem to be infecting every southern Ontario community from a secret mist of spores wafting from some suburban power-centre nerve HQ. It was refreshing to see the number of independent restaurants for a town this small and this rural. There is old-school greasy roadside fare like BBQ King, two diners, a Portguese bakery, an English chip shop (Cook’s Bay), a Dutch tea room, Bangkok Saigon Noodle, a Mexican restaurant, a souvlaki place, and a couple of independent pizza parlours. And, of course, there are the standard old-school sports bars you’d expect of a rural Ontario town. I lose most of my inhibitions anytime food is involved. I’ll eat almost anything, anywhere, with anyone. I’m not particularly big on small-talk, I generally keep to myself, but I don’t have much of a problem strolling into strange restaurants, whether it’s for coffee at a francophone diner in Kapuskasing, a midweek lunch at Sister’s in Englehart or a bustling Sunday morning post-church congregational brunch at The Roosteraunt in Smith’s Falls. So, when you’ve closed the Halloween night party at the Pacific Hotel in Wiarton, scoured Norfolk County for a place that was open after last-call, traded your pita for entry into The Beer Store five minutes after close in Huntsville, bought every last cinnamon bun in the bakery on the last Saturday morning of the cottage season in Bala, and gotten propositioned by cougars whilst dancing to karaoke in your yellow rain coat and rubber boots in Ridgetown, stepping into a local restaurant for lunch is nothing to speak of. Usually. Joe’s Restaurant and Bar was a bit of an exception. I was about to settle for Subway – it was 11.30 am on a Monday, and most of the aforementioned restaurants were closed – when I saw it. Scribbled hastily in magic marker on a whiteboard in a dark window of a non-descript hole-in-the-wall on the north side of town: Portuguese Chicken Dinner. I waited in the vestibule to be seated. I could see that there was no-one in the dining room or at the bar, but I could hear noise coming from the back. It was still technically morning so I knew I’d have to take a little initiative. I headed to the kitchen, at the far back of the restaurant, where I found an aproned woman ladeling steaming stews into painted terra-cotta dishes. Seven or eight huge guys huddled around her, all of whom were staring at yours truly. It’s at times like this that being a guy with a preference in footwear isn’t necessarily a cool or quirky touch. 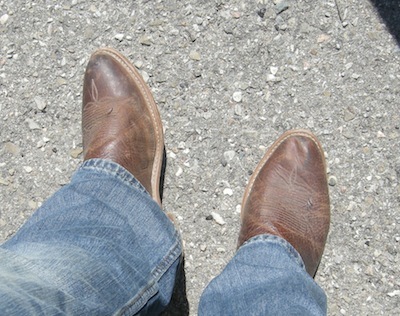 I have never heard my boots sound louder than they did when I walked across the restaurant. (Do the Portuguese tile everything?) I probably sounded like Mr. Ed. From the sound of my steps maybe those guys expected me to be wearing a sheriff’s costume. Or chaps. Or maybe they wondered if the owners were about to get a shakedown. Whatever they thought, me in my cowboy boots and jeans and sideburns and my foam trucker hat (it’s not a fashion accessory, I swear, they’re the only baseball caps that fit my huge head), well, when compared to the guys with their plaster-stained t-shirts and steel-toed boots and heavy-gauge jeans sagging under the weight of their tool-belts…I felt like a member of the Village People. 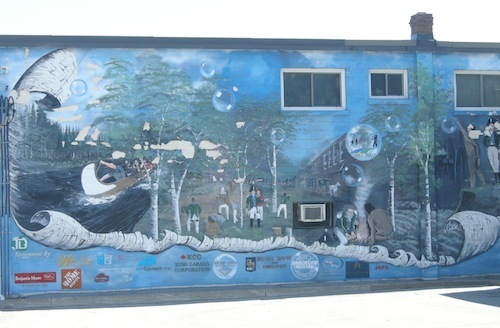 It is Highway 11 here … so there’s gotta be a mural! I didn’t know whether to be relieved or offended. I’m not used to being the mangiacake. But damn, was it ever a good day to be the mangiacake! That was hands-down the best Portuguese chicken I’ve ever had. Crispy skin gave way to succulent chicken that was cooked just right so the fat had melted into the meat. And the potatoes? Wow, soft, sweet, they yielded to your bite like little pillows of Portuguese potatoey goodness. The piri piri sauce was tangy and spicy but didn’t blow the tastebuds out of your mouth. The rice was, well, let’s just say I’ve never understood why Portguese chicken comes with potatoes and rice. The second is just an unnecessary starch. Give me a veg or something. 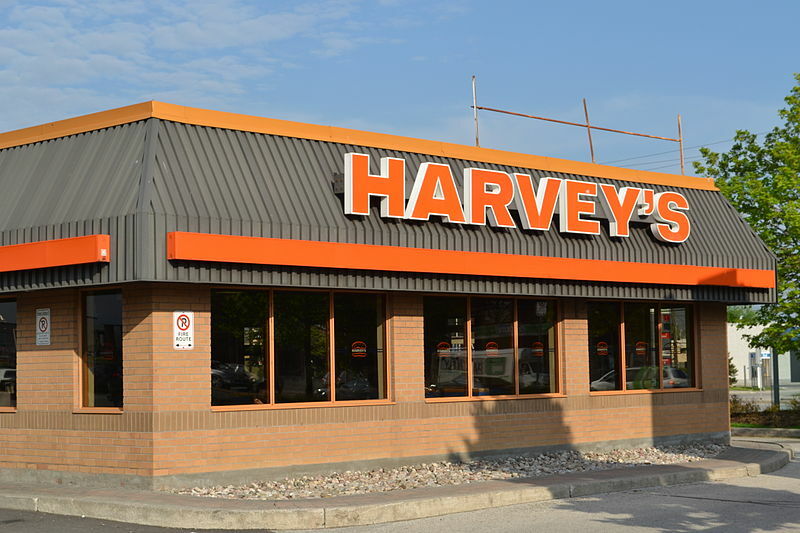 Anyway, it was the best meal I’ve had travelling all of Yonge Street or Highway 11. 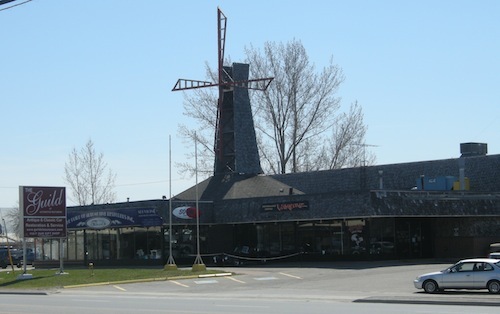 Not only does this windmill contraption count as Bradford’s “big weird thing”, but it also houses “The Guild”, a killer classic car restoration showroom. 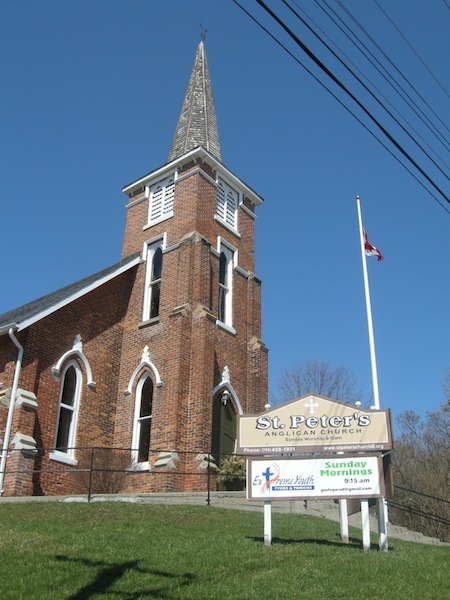 As you travel on Yonge Street / Highway 11 from Bradford, you’ll pass through two hamlets, both home to two churches, sitting atop a hill. 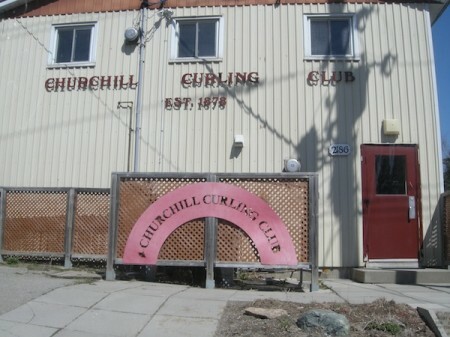 Churchill is one. 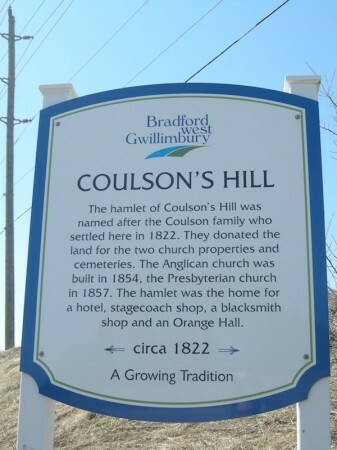 Coulson’s Hill is the other. The town site for Coulson’s Hill is actually just off Highway 11, one turn west. 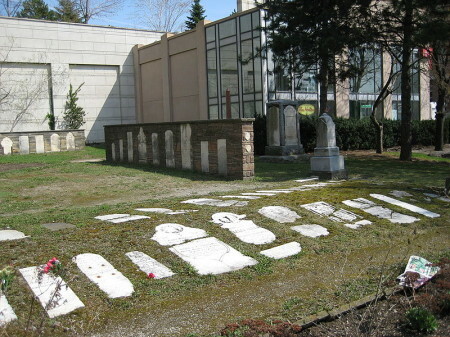 That’s where you’ll find the two churches – one Anglican, one Presbyterian – a cemetery, and a few houses. 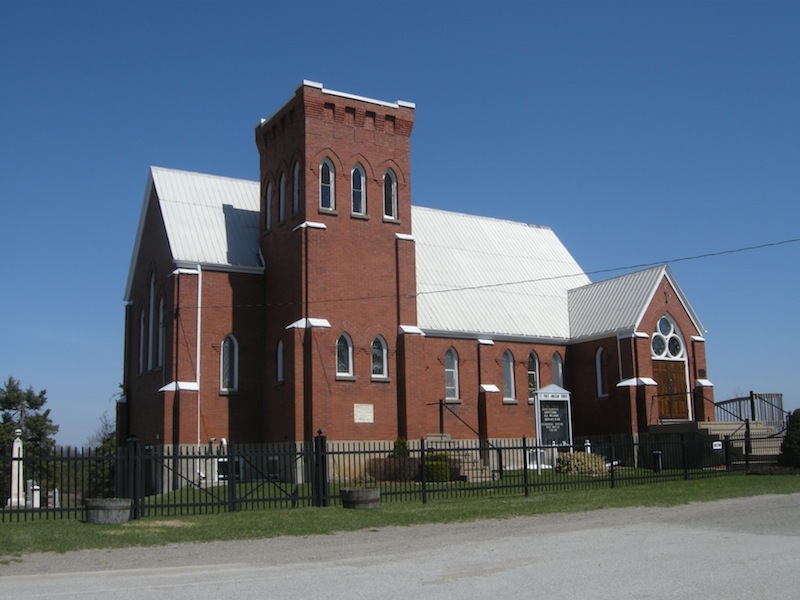 I know that these churches draw from the surrounding farm country, but with a swath of churches 10 minutes south, in Bradford, another two churches up in Churchill, maybe ten minutes north on Yonge Street, you can’t help but wonder how big their congregations are. 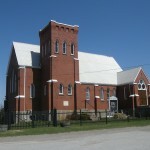 What keeps these churches going? There is also a really big Garden Gallery just north of Coulson’s Hill, possibly in Fennell. 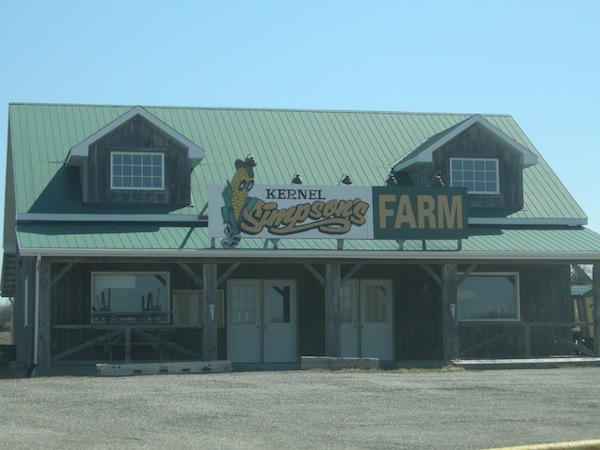 Fennell was was a dot on my map but I never saw a town sign for it. Driving along Highway 11 in northern Ontario, almost each town has some big weird thing on the side of the road – sometimes a snowman, sometimes an animal, sometimes a curling rock. I don’t know if this apple counts. For a while I was into wearing baseball caps with minor league baseball because the logos were so often so bad. This corn dude reminds me of the Cedar Rapids Kernels hat I wore proudly for age.